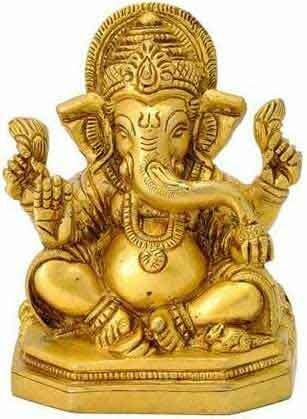 How Ganesha Got the Name Mayureshwar? Mayureshwar is one among the numerous names of Ganesha. Legend has it that Ganesh got the name after an incident involving the peacock-faced son of Vinita and Ganesha. Vinita is the mother of Garuda and wife of Sage Kashyapa. Sage Kashyapa had two wives – Vinita and Kadru. The sons of Kadru were serpents and sons of Vinita were birds. Vinita and Kadru once made a bet. Kadru and her sons cheated in the bet and made Vinita and her sons slaves. Sage Kashyapa who came to know about this gave Vinita the boon of having a son in the form of a bird. When this son was in egg form, Ganesha broke the egg and a peacock (Mayur) appeared from it. The peacock and Ganesha had a fierce fight and Vinita intervened and stopped the fight. Peacock agreed to become the Vehicle of Ganesha but on the condition that he should also be known as Mayureshwar. Ganesha agreed and became Mayureshwar. Ganesha as Mayureshwar rode on the peacock to defeat demon Sindhu.